Comments: Virginia Lee Johnson (Nee: Smith) | Antlers OK United States | | Comments: WILEY ELIJAH JOHNSON, son of John P. & Eliza J. *Reddick* Johnson, was born in AR on May 10, 1862. 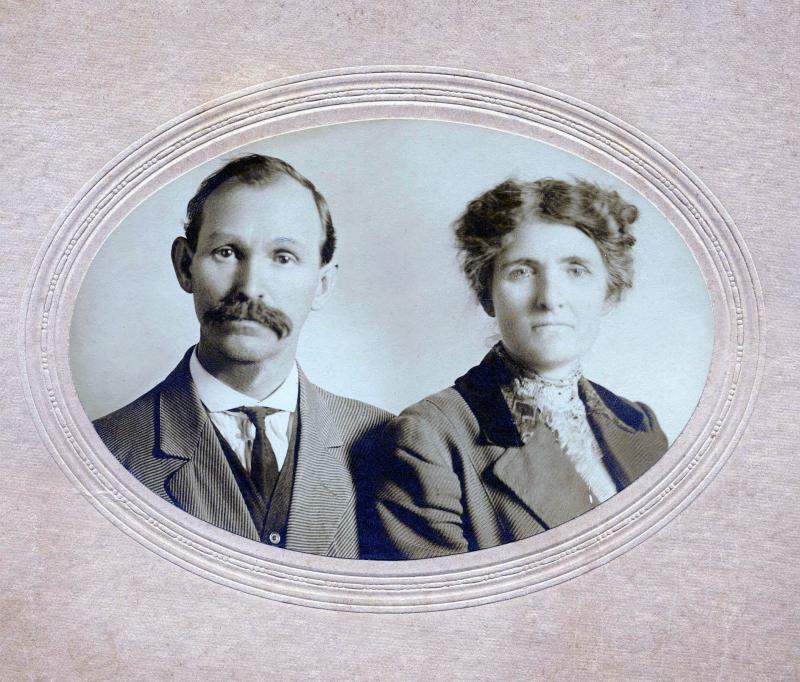 On Dec. 25, 1887 in Red River Co., TX he mar*Bankston* Smith. Virginia was born on Apr. 23, 1867 in Red River Co., TX. Their first child, Homer C., was born in Clarksville, Red River Co., TX on Dec. 20, 1888. Shortly thereafter Wiley purchased land along the the Red River, in Garretts Bluff, Lamar Co., TX where 3 more children were born; Malona J., on Oct. 30, 1891, & around 1895, twins, Viola L. and John P. were born. Both died very young. Around 1899 or 1900 Wiley moved his family to the town of Antlers in Indian Terr. (OK) where daughter Myrtle M., was born on March 16, 1901. Virginia died in Antlers, on Aug. 11, 1917. Wiley died on October 10, 1934. Both are buried in the Odd Fellows Cemetery in Antlers, Pushmataha Co. Oklahoma.